Stocking Stuffers & Other "Organized" Gift Ideas - Details etc. Welcome to From Clutter to Calm, a space where I share organizing tips & ideas – and a few other finds. As a professional organizer with a penchant for cooking and shopping, I may also share a recipe or two, a great bargain, or my latest shoe obsession – all with an eye on making busy lives less hectic, less chaotic, and more organized! I’d love to hear from you. Let me know what challenges you face in getting your life from clutter to calm, what kinds of tips you’d like to see here, or just say hello. If you’d like to learn more about me, or my organizing business please visit my website. Or, you can email me. We are well into holiday mode, with just over two weeks until Hanukkah & Christmas kinda collide. This is one of those rare years when the first night of Hanukkah falls on Christmas Eve, which I have to say is perfect timing. To me, being organized includes being prepared and making life easier. In that vein, I’ve rounded up some of my favorite holiday gifts from The Container Store. These fun gadgets and gizmos make great stocking stuffers, secret santa or my personal favorite, the white elephant gift. And I’m pretty sure you’ll want to nab a few for yourself! First up is the ideal gift for anyone who misplaces their keys. The Key Catch Magnetic Key Hanger might eliminate all that rummaging around for keys. The KeyCatch Magnetic Key Hangers install easily into nearly any light switch plate, replacing the lower standard screw with a super-strong magnet that holds even heavy keychains. Turn on the lights and hang up your keys right there in the entryway or mudroom. When it’s time to go, there’s no need to search. 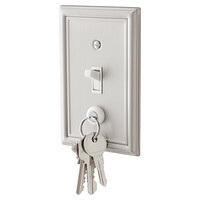 Your keys are directly under the switch, so you can turn off the lights and get out the door in no time. Like many of you, my credit cards have been hacked more times than I care to admit. About six months ago I decided to try the RFID-Blocking Credit Card Sleeves, and so far, so good. 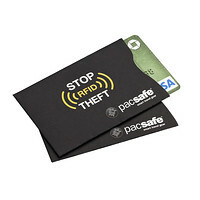 These special sleeves are designed to prevent thieves from being able to remotely scan the digital information stored on your credit and bank cards. While a practical gift, I think anyone would be super thankful to have something that protects their $$. The 80’s were a fashion disaster, including the infamous “fanny pack.” Though an extremely useful item, it was terribly unattractive. You won’t offend anyone in this 21st Century version which is a whole lot slimmer, way more attractive, and thankfully, not neon! 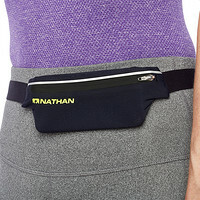 When you are pocketless this Running Belt will hold your phone, keys, etc. and you’ll still look cool. The perfect gift for all your running, hiking and power walking friends & family. You can never be too prepared and this Mini Emergency Kit will easily fit in a car’s glove compartment, handbag or backpack. It features 17 must-have items including hair spray, lip balm, breath freshener, an emery board, an adhesive bandage, deodorant toilette, dental floss, hair bands, double-sided tape, earring backs, clear nail polish, nail polish remover, pain reliever and more! 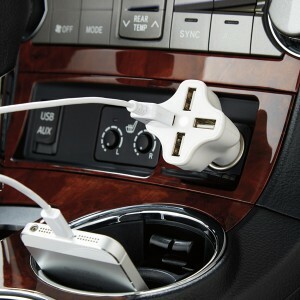 My guess is this next item will win the popularity contest, since we are always in search of a quick and easy way to charge our beloved devices. 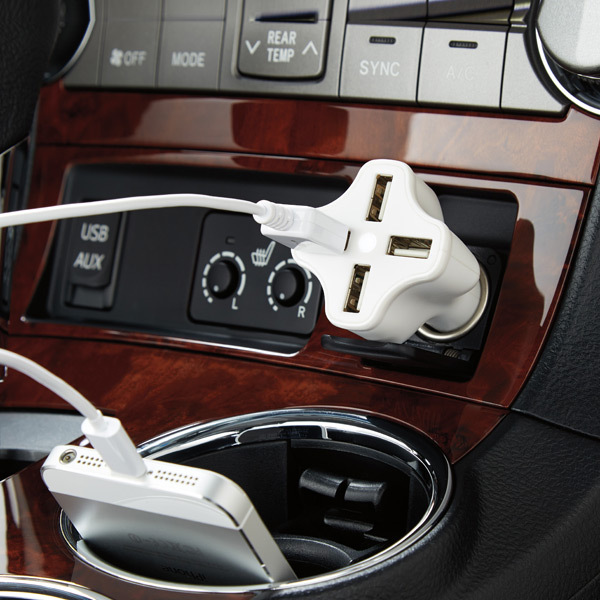 This 4-Port USB Car Charger allows you to charge up to 4 devices at once. InstaSense automatically senses how much power your devices need and adjusts the amount being driven through any one of its four USB ports to provide the fastest charge possible for your devices. At home manicures just got a little bit easier with this nifty tool, the Tweexy Nail Polish Holder fits over your fingers so you can apply color without spills. Made of soft silicone, it provides a comfortable, stable feel for hands and a secure grip for bottles of all shapes and sizes. Slide on and you’re ready to start. When nails are done, just pull off to protect fresh polish. Copyright © 2019 Details etc. All Rights Reserved.